EdWare - Educational games, puzzles, activities and quizzes from EdWare. Award winning software used by over 1,500 schools in Ireland. Our software features fun interactive maps, an encyclopaedia of information, hundreds of photos, printable worksheets, puzzles and quizzes, audio, excellent reference material and much more. The all-new Know Your World 3.0 from EdWare is now available. 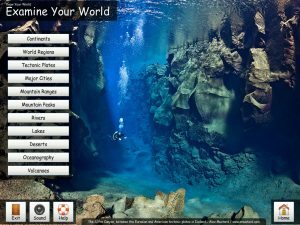 Each major geographic topic is covered: Continents, Major Cities, Oceans & Seas, Deserts, Rivers, Volcanoes and much more. 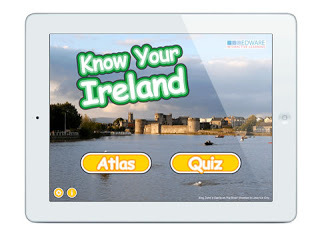 Learn all about Ireland on your iPad and challenge someone to get the highest score in the Quiz of each physical feature – available from EdWare on the Apple App Store.